Malik Ismail Makh Afghan was one of the amiran-i-sada (an amir-i-sada commanded one hundred horsemen) of Sultan Muhammad bin Tughlaq posted in vilayat of Daulatabad (Deccan). He held a rank of 2,000 sawars. His elder brother Ikhtiyar-ud-din Mal Afghan was one of the greatest nobles of Muhammad bin Tughlaq and was governor of Malwa at that time. In 1345 AD Ismail Makh Afghan was summoned along with the other amirs to Gujarat to help the Sultan against the rebels. Fearing that the Sultan may be suspecting him of complicity with his fellow Afghan nobles in Gujarat, and suspecting that the Sultan having been led to believe that the amiran-i-sada were 'wicked' might be contemplating their destruction , Malik Makh did not obey the royal command and also raised the banner of revolt. He rather agreed to take up the command of the amiran-i-sada who were in rebellion. Ibn-i-Battatah relates that Muhammad bin Tughlaq tried a treacherous stratagem to entrap the Afghans which failed and caused the uprising of Afghans in Deccan. Thereupon the Afghan rebels spread the royal umbrella upon on his head and proclaimed him as Sultan Nasir ud-din Shah. His court was soon patterned on the model of the Delhi court. Nur-ud-din, a non-Afghan officer , was selected by him for the post of Wazir and honoured with title of Khwaja Jahan like the Wazir of Sultan Muhammad bin Tughlaq. The eldest son of Sultan Nasir-ud-din Shah was conferred upon the title of Khidr Khan. 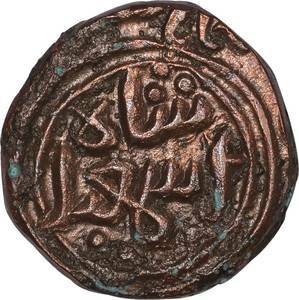 The Sultan bestowed upon Hasan Ganju the titles of Zafar Khan and Amir-ul-umara. Soon afterwords the Afghan Sultan assembled an army 40,000 strong consisting of Afghans, Turks, Indians and slaves, and destroyed all those who were not willing to cooperate with him. Thereafter he divided the whole of the vilayat of Daulatabad among his supporters as maintenance-iqtas. As regards the soldiers, they were paid fifteen months allowances in advance as a reward. The Afghan rebels from Gujarat were given refuge in Daulatabad and the title of Qadr Khan and a high position in the court was given to their leader Qazi Jalal Afghan. Being informed of this development , the Tughlaq Sultan left Gujarat for Daulatabad. The rebels also came out with determination to face him. In a fierce battle near Daulatabad they were routed after having sustained heavy casualties. 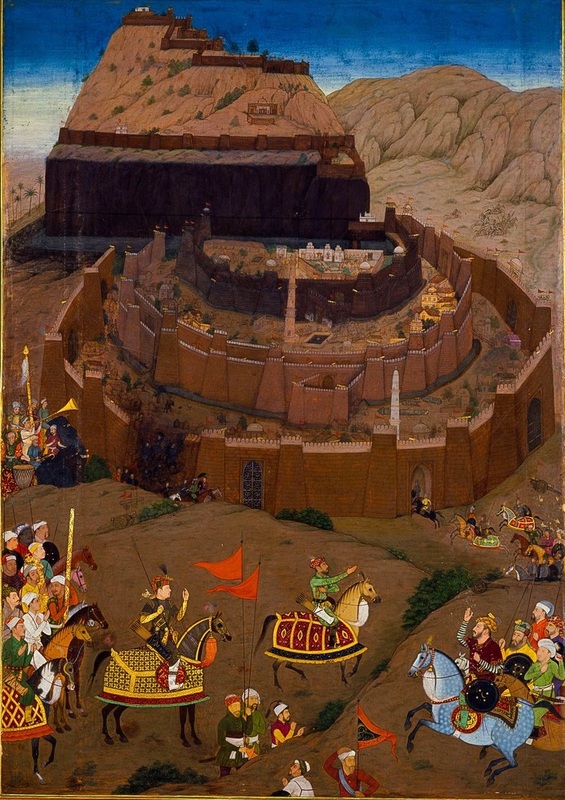 But Sultan Nasir al-Din and other important nobles escaped from the battlefield to the fort of Daulatabad, and therefore it was besieged by the Tughlaq Sultan . About this time the Muhammad bin Tughlaq heard the news of the rebellion of Malik Taghi in Gujarat. Leaving every thing unsettled , he rushed back to Gujarat. 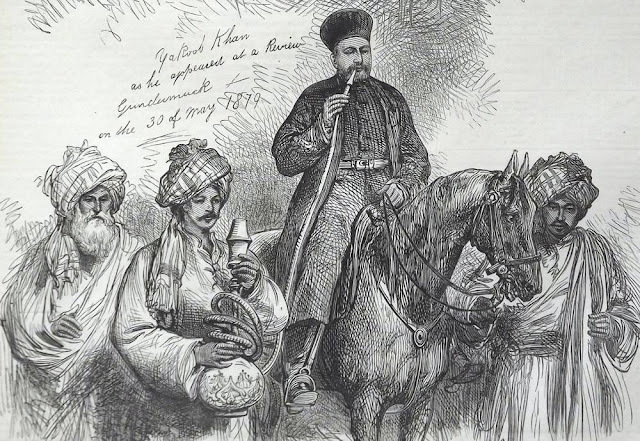 After the Sultan's withdrawal, Hasan Ganju inflicted a crushing defeat on the remaining royal forces. This victory made him very popular among the rebels . Sultan, Nasir-al-Din the voluntarily abdicated in favour of Hasan Ganju on September 1347 AD, taking the title of Shamsuddin for the rest of his life. Hasan Ganju assumed the title of Alauddin Hasan Bahman Shah and founded the Bahmani dynasty. The Afghans thus lost an opportunity to establish an independent kingdom in the Deccan. Sultan Nasir-ud-din ruled for eleven months. Sultan Bahman Shah bestowed the title of Amir-ul-Umara on Ismail Makh Afghan and gave him the command of entire army and power over the purse . In addition to conferring the title and high office, Bahman Shah sent Ismail Makh to reduce and hold iqta of Akad. Later the Sultan accused Ismail Makh of plotting against him. Sultan Bahman Shah struck Makh Afghan with his own sword and killed him immediately. This was the first execution of its kind in open court in the Deccan. The Siege and Conquest of Daulatabad. By Murar. Padshahnama, 1656. Royal Collection, Windsor.